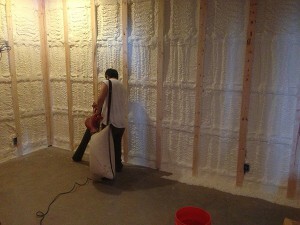 Spray Foam Insulation is polyurethane foam that is pumped into the area to be insulated. Once it is sprayed, it expands and hardens, forming a tight seal that is much more effective than traditional fiberglass insulation. Spray foam insulation has proven to be extremely effective, much more effective than the traditional fiberglass insulation. In fact it is so effective that the military has employed it in Iraq and Afghanistan to keep the oppressive heat out of tents and communal structures, saving a great amount of taxpayer dollars due to the reduced need for fuel. U.S. Department of Energy studies have shown that as much as 40% of the energy used in an average home is lost due to air infiltration. The amount of heat that escapes daily from a home that is insulated with fiberglass insulation could fill a blimp. This huge waste of energy, and hard-earned dollars, could be drastically reduced by installing spray foam insulation. In this day and age of soaring energy costs and increasingly limited household budgets, SPF is definitely the best choice for new construction, or to improve the energy efficiency of an old building. Some other benefits are that it helps reduce moisture and mold, it deadens sound, making your house much quieter, and it even increases the overall building stability of the structure. The truth is that SPF makes your hour house more energy-efficient and comfortable, while paying for it in only a few years. 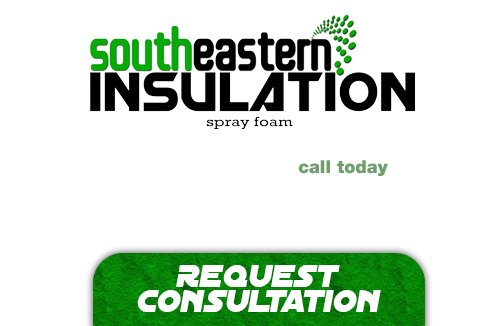 With years of service experience providing the Tucker and Vinings area with the absolute best in spray foam insulation and whole home energy efficiency services, you cannot go wrong in turning to the qualified professionals at Southeastern Insulation. We take great pride in the craftsmanship of our work and are wholly dedicated to offering the very best customer service at all times. If you want to take your home to new heights of energy efficiency, then you only need to call on us! If you’re looking for a professional Tucker and Vinings Decatur Spray Foam Contractor, then give us a call today at 678-561-FOAM (678-561-3626) or complete our request estimate form.